Serene and lovely, tucked in its weathered old walls - the Old Rectory offers guests peace and comfort deep in the Devonshire countryside. Sleeps up to 34 in 14 bedrooms with 5 bathrooms. The main house sleeps 16. Weekends from £3,000 to £5,000, full weeks from £4,000 to £7,000. For shorter stays please enquire. If fully occupied, price per person per night is usually between £17 and £49. Either marry at St Swithuns, then cross the field to the Rectory, or marry at the Rectory...whatever you decide, it'll be a wedding exactly how you want it. Seats up to 95 indoors and the total venue capacity is 150. The current house was built by the Church of England in 1836, although there has been a rectory on the site since around 1200. Unusually, the house is almost half a mile from its church; St Swithuns of Pyworthy. 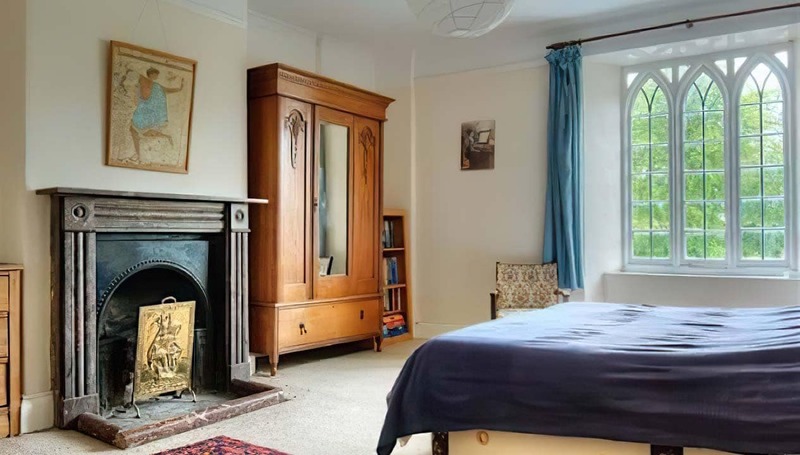 Solidly Georgian, with typical generous proportions and light-filled rooms, the house was modernised in 1903 by the Reverend Donaldson, who felt the need for indoor plumbing. The Rectory and its coach house and cottage make for a very special set up, perfect for weddings, family reunions or celebrating a big birthday or anniversary. The owners also arrange writing retreats and walking holidays. 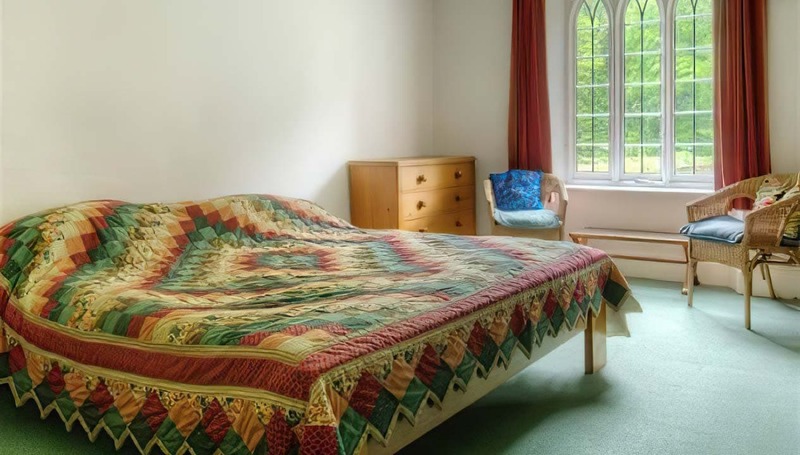 Sleeps 16 people in 7 generous bedrooms (one of the rooms is accessed through another). There are no en-suites; guests share 2 large bathrooms, and a downstairs cloakroom. 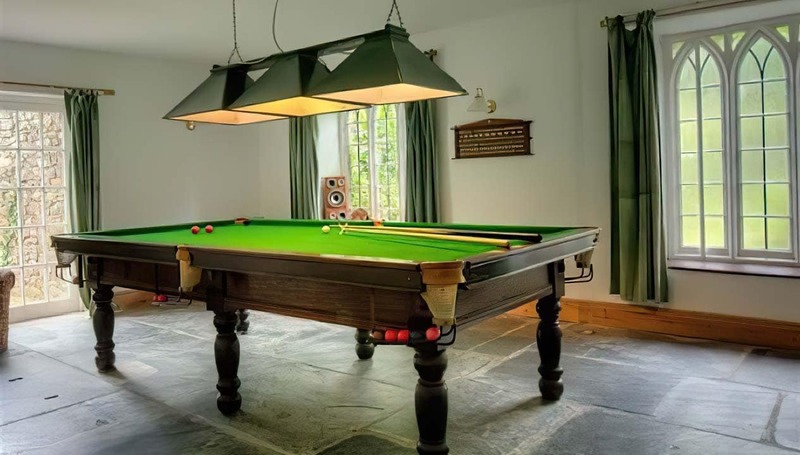 The reception rooms include a drawing room with piano, and billiards room. 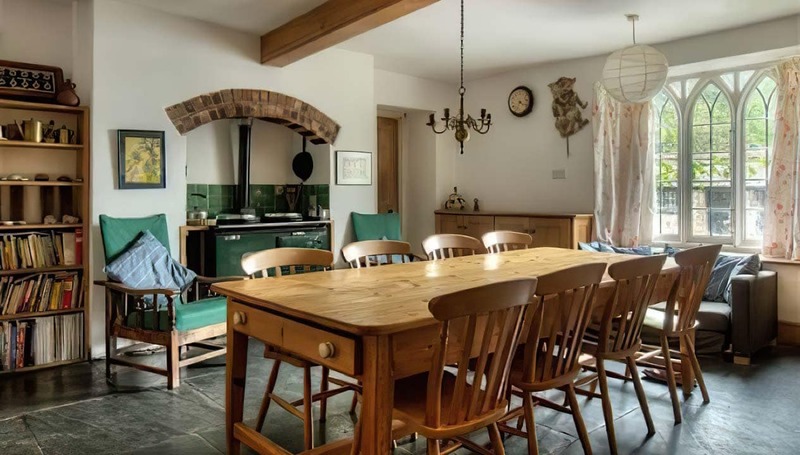 The games room was once the village hall for Pyworthy (despite the distance from the village), andthere’s a small stage and organ for spontaneous entertainment.The kitchens are huge, and perfect for hearty breakfasts, or riotous suppers. The owners warmly welcome weddings and house parties. Sleeps 12 people in 5 bedrooms, with 2 large bathrooms. Downstairs is a large living area and kitchen. Sleeps 6, best used as an overflow for big parties, or weddings. The buildings sit in 10 acres of gardens, lawns and cool, bosky woodlands – perfect for ambling, evening walks. The old kitchen garden walls still encircle the terrace and wide lawn (which is perfect for a marquee), protecting it from any enthusiastic weather. The position of the house, with its mantle of woodlands, guarantees privacy and glorious, stretching peace (which you can choose to shatter – any time you like). There is plenty to do in the area – Pyworthy itself has a lovely old pub, the Molesworth Arms, with lots of great circular walks. 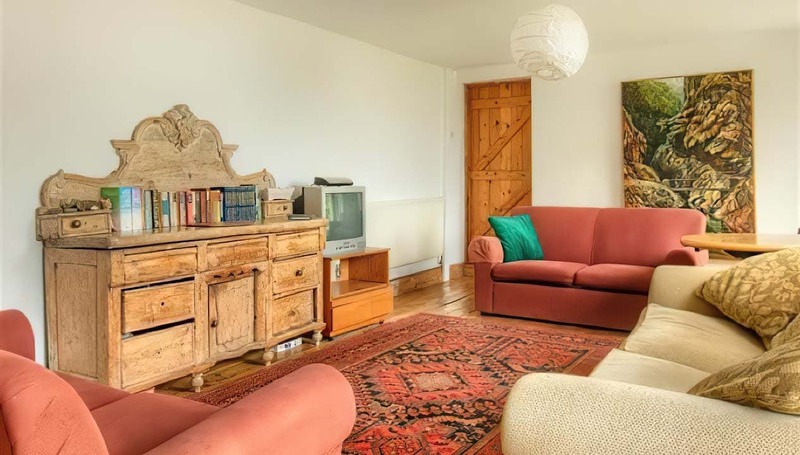 The house is only 8 miles from the coast, and the traditional resort of Bude, with all of its distractions. 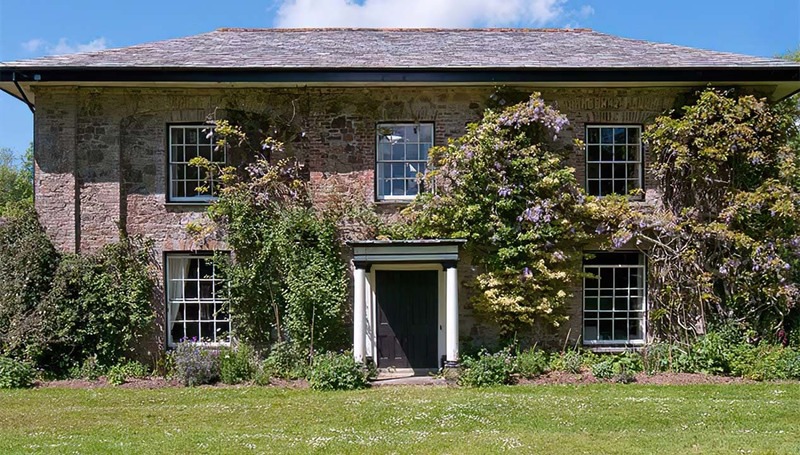 The Old Rectory has a an outdoor swimming pool, extensive gardens and plenty of places for country walks (Dartmoor is a short distance away). The surfers’ beaches of North Devon are about a twenty minutes’ drive away, as are innumerable opportunities for the taking of a Devon cream tea. 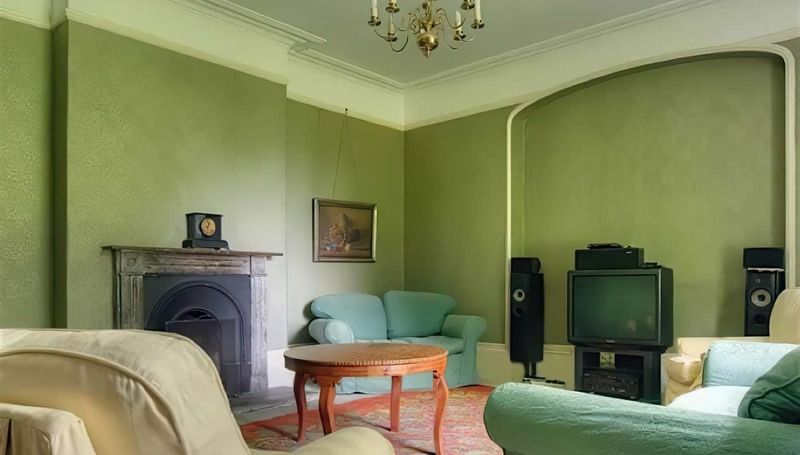 The Old Rectory reserves a few dates a year for weddings (the house itself holds a license), and specialise in country-style celebrations with lots of friends and family and touches of rural charm. Photographs of past events can be found on The Old Rectory’s Facebook page, or you can ring to chat with the lovely owners (Tony and Plym). For details of special offers, or last minute availability, please contact the owners. We booked a week at The Old Rectory in June for our wedding and had a great time. The owners Tony and Plym were welcoming, helpful and laid back. The wedding day was great and Plym was at hand to help out with any issues. Our 130 guests loved being in the old rectory to hide from the rain during the reception. After the meal in the vintage marquee on the front lawn we moved over to the barn/hall for the music. Plym helped arrange some staff to help keep the drinks flowing and cook some nibbles later in the night. As the party continued, the older generation went back into the old rectory for a cup of tea and a sing song of their own. We spent the Sunday by the pool with a barbecue. The patio area was a great place to eat and relax long into the evening beside the fire pit. All of our guests were very impressed by the venue. Wow! wow! and a massive wow again! Just attended a wedding here, guests made full use of the stunning main house, the coach house, the barn, the swimming pool, the cottage. There was space for a huge marquee in the grounds, there was camping and even a tree-house! Anyone looking for a beautiful big wedding venue in idyllic surroundings quite honestly look no further!